King's Ely Music | News from the Music Department, King's Ely. 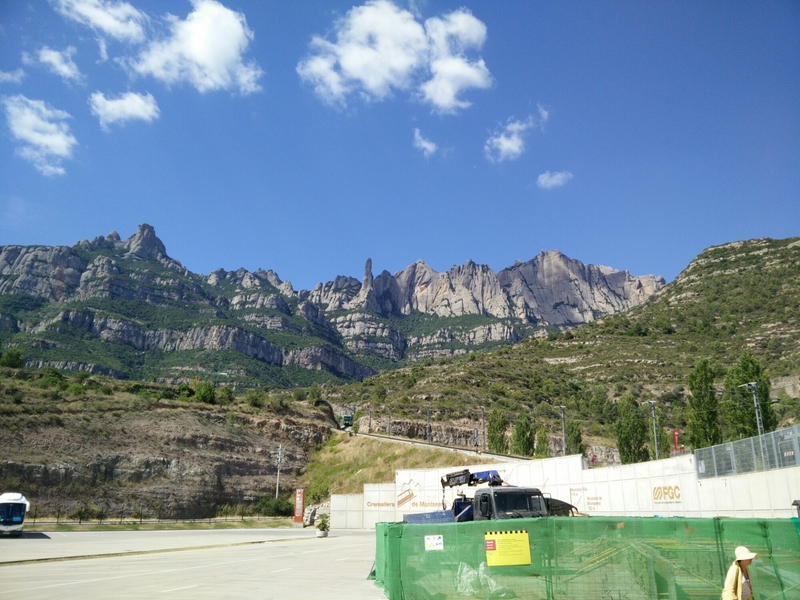 Chapel Choir were up bright and early yesterday for the two-hour journey to Montserrat monastery, which provided a convenient opportunity for some of our number to catch up on sleep after a late night by the pool. The monastery itself was a highlight of the trip so far, featuring Modernist architecture cut into the face of the mountain. After a short recital of a cappella music, the choir descended back to Barcelona for a visit to Parc Guell and an evening of flamenco dancing (in which, to widespread disappointment, Mr Griffs did not join). This entry was posted in Uncategorized on July 15, 2016 by Music Department at King's Ely. Apologies for the delay in uploading the recordings but our WiFi is very slow. This entry was posted in Concerts, News on July 15, 2016 by Music Department at King's Ely. Up early after a late night arrival for a lovely buffet breakfast in the hotel- then we took the 1hr and a half bus ride to Barcelona! Upon arrival in the city, we were greeted by a full welcoming party of heat- the chapel choir robes did not help! We had a guided tour of the amazing and speechless Segrada Familia before singing a short service as an offering for the Virgin Mary. We then got an hour for lunch in Barcelona, and as the true Brits we are- to experience the Catalan culture, we stopped at McDonalds! (However, it was followed by an authentic Spanish ice cream parlour, so we did make an effort). 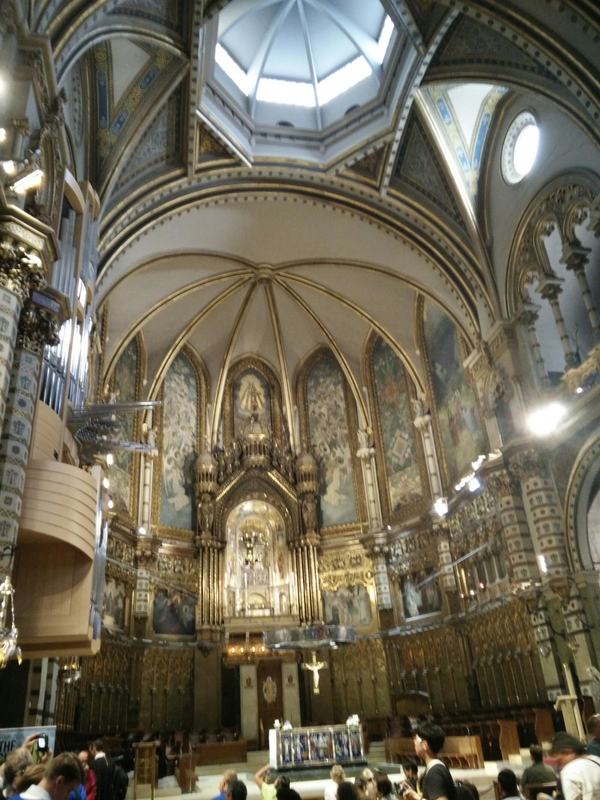 We hopped on the coach again, and headed to the Barcelona cathedral- which again was breathtaking, but paled in comparison to the Basilica we had just seen. We had a quick look around before singing a 45 minute concert including some solo songs by the Barbers! As we were exhausted, and in need of our ‘siesta’, we all decided to head back to the hotel for some much needed ‘vegging’ by the pool- including many belly flops from the boys! To finish off the night, we all had a buffet dinner at the hotel, and a relaxing walk on the beach- an all around exhilarating (and tiring) day! This entry was posted in News, Tour on July 13, 2016 by Music Department at King's Ely. Below are the recordings from today’s lunchtime concert at the magnificent Segrada Familia. 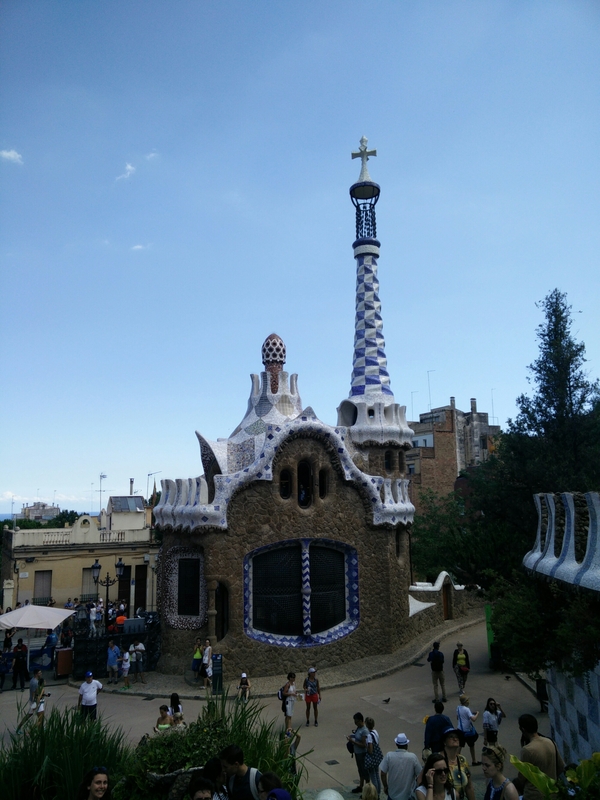 It is a very ambient recording, with lots of background noise – a mixture of noise from the construction site within Segrada Familia, as well as the many tourists. Chapel Choir had a great morning today exploring Segrada Familia and also performing a short recital. This afternoon we will be performing at Barcelona Cathedral. More updates, pictures and audio will be available later today. Chapel Choir have arrived safely at Luton and through departures, waiting for the flight to Barcelona. All pupils safely navigated through security … shame Mrs Wright & Mr. Houlston weren’t quite so fortunate. Mr. Kingston has just had a very interesting experience at Pret A Manger – do ask him about it when you see him next. This entry was posted in News, Tour on July 12, 2016 by Music Department at King's Ely. Following todays rehearsal, we recorded two pieces that we are taking on tour for your enjoyment. This entry was posted in News, Tour on July 11, 2016 by Music Department at King's Ely. click to join our list.